The Sony Xperia go just can’t catch a break – the durable Android handset was tortured in the summer and now the same guys are back to torment it in winter conditions. The poor guy was thrown around, ran over, jumped on, bashed, dunked and put through other trials. 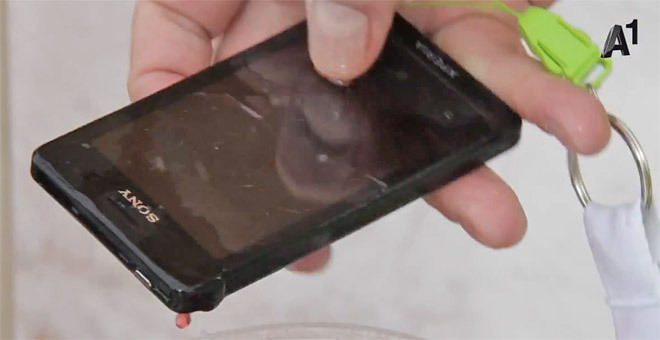 The Xperia go sports an IP67 certification, giving it dust and water resistance, but it also seems to handle subzero temperatures quite well. By the way, the Xperia go is sold as Xperia advance in the US where it’s $250 unlocked. Thanks to Claudia for the tip!